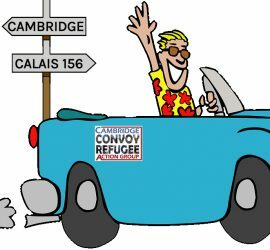 Cambridge Convoy Refugee Action Group – CamCRAG is a registered charity (1170180) who send regular convoys of volunteers and aid from the Cambridge region to help refugees in Europe. 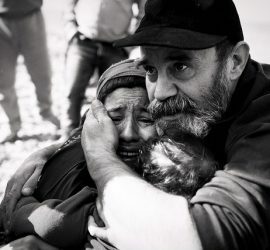 We collect donations, hold fundraising events, fund projects overseas and raise awareness of the refugee crisis. We are requesting submissions for an Art Exhibition on the theme of 'Home', to be shown at the Michaelhouse Centre in June. Open to all artists in the area - read more for full details on submissions. Want to spend a weekend in Calais helping refugees? Our convoys leave on Friday evenings, returning Sunday evening. Applications for April's convoy are now closed, but you can now apply for June's. 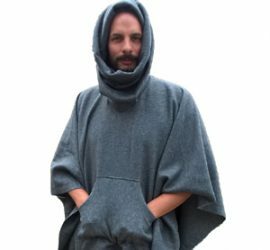 The Poncho Project bulk buys blankets to be cut, sewn and folded into wearable ponchos by teams of volunteers, which are taken to Calais by the CamCRAG convoys. We need volunteers, venues and donations. We are a group of volunteers who live in and around Cambridge who work to help the refugees in Northern France and elsewhere in Europe. As well as sending regular convoys of aid and volunteers to the warehouse in Calais run by Help Refugees, we also organise donation collections, fundraising events and seek to raise awareness of the refugee crisis. All the money we raise goes towards providing aid or supporting our convoys: We have no employees, and are entirely run by volunteers. Which means we always welcome some help, whether it’s joining us on a convoy to Calais, donating money, or giving your time in Cambridge.